Defence line up on blue line to start. 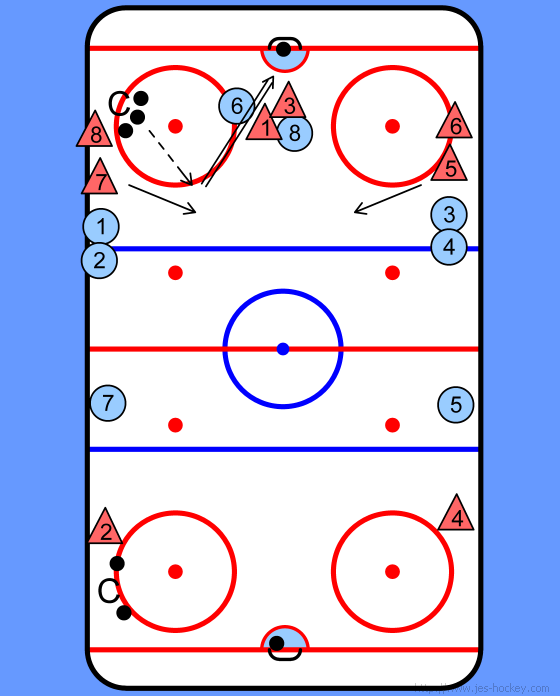 Coach passes to either " D " they take a shot on net, then F6 & F8 curl up ice and receive a pass from the coach. They break in 2 on 2. 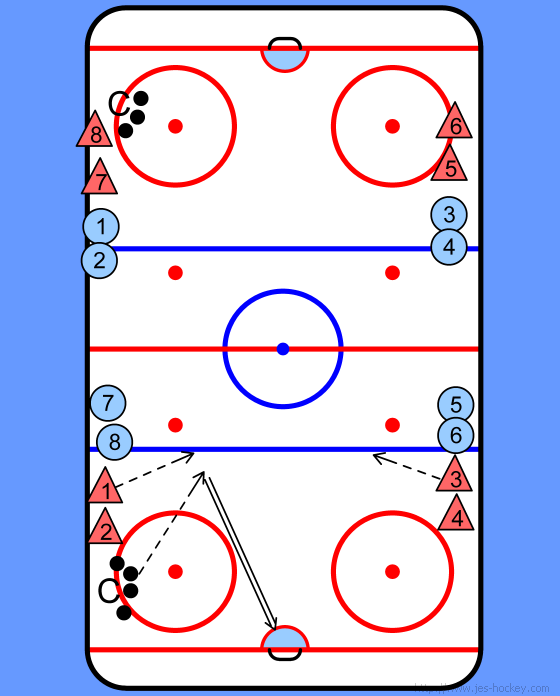 Once a shot on net has happened, the other coach passes to 2 new waiting D's and take a shot on net with a crowd in front. 2 new forwards curl and go down 2 on 2. 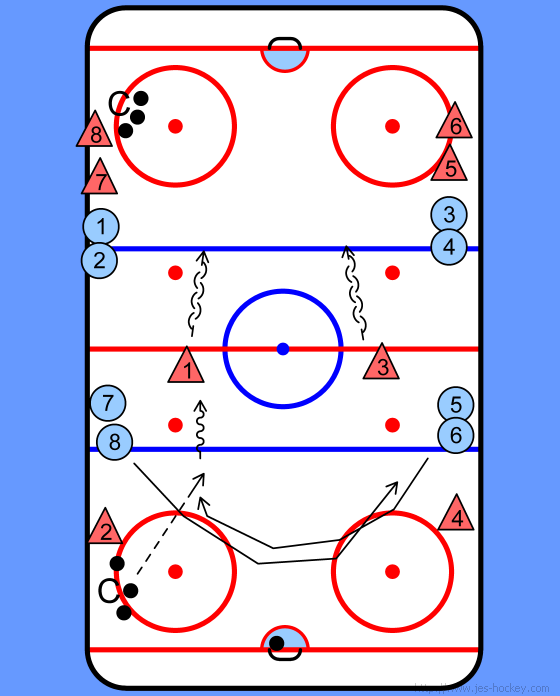 Wingers start to curl off of the boards, the coach passes to curling wingers and they break in 2 on 2 on the retreating defence men. Wingers then take a shot on net 2 on 2, then get ready for another shot from 2 new defence men. The drill then repeats itself with 2 new wingers going down 2 on 2 against D7 and D5.